New on the Menu this Month! Welcome to Chet & Emil's Inc.
Our bowling lanes were added onto the building in 1947. We continue to use the original four lanes, with new upgrades. In 2010, the four bowling lanes were resurfaced with a synthetic material. Recently, in 2018 we upgraded our old video score system to a new and the latest system. If you are interested in bowling as a sub or full-time bowler during the bowling season from September to April, please contact Ed Resch, Reid Praslowicz, or Jer Praslowicz at (715) 449-2226. Congrats to Rod Karcz on rollling his perfect "300" game on October 10th 2018! 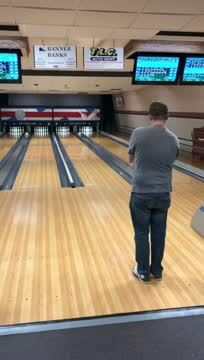 Congrats to Dan Rew on rolling his perfect "300" game on February 12th 2019! 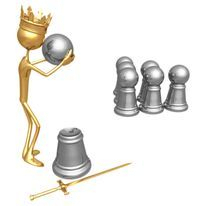 Congrats to Steve Preuss on rolling his perfect "300" game on March 12th 2019! Bowling is open to the public upon request if the lanes are open during the bowling season. We can also host bowling birthday/event parties, but strongly recommend to call in to reserve your lanes. If you are interesting in joining one, or any, of our teams feel free to give us a call.